A super lightweight and extremely secure password manager. Is there a better alternative to Password Pandora? Is Password Pandora really the best app in Security category? Will Password Pandora work good on macOS 10.13.4? 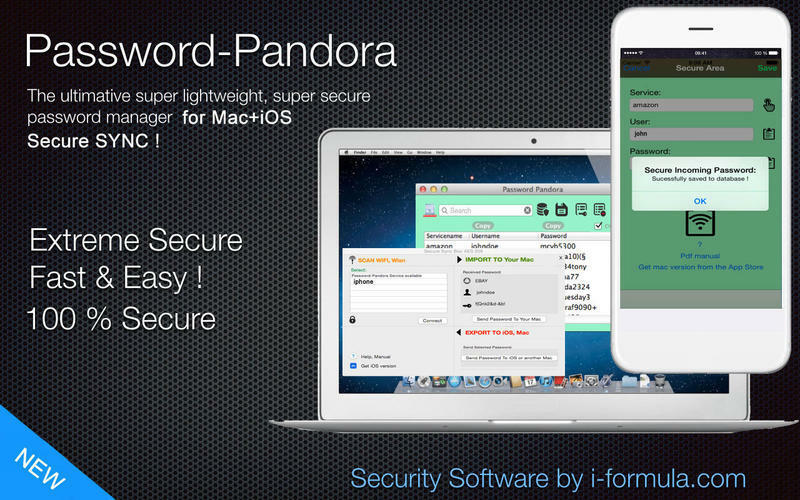 Password Pandora is a super lightweight and extremely secure password manager and password keeper! 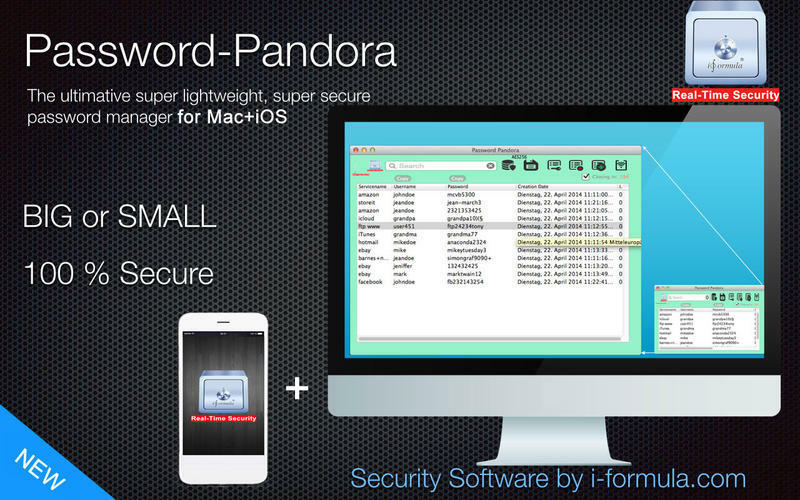 Forget all this graphic overloaded, heavy weighted password managers - All you need is Password Pandora, it just does, what it says -> Store Your Passwords Easy & Extremely Secure! Real-time encryption (no other password app offers this)! Secure SYNC with your iOS device (iPhone, iPad) or another Mac on your Wifi at home! Search for your accounts, password, usernames! Password Pandora needs a review. Be the first to review this app and get the discussion started! Password Pandora needs a rating. Be the first to rate this app and get the discussion started! Super fast, super easy, super small window, extreme secure! Identify outdated passwords easily with timestamps! Backup, restore your Database easy & secure with one click only! Integrated secure random password generator! Copy username or password to your clipboard, with just one click! All functions can also be controlled via keyboard shortcuts! In times, where hacker attack electronic services everyday worldwide, a secure password storage is a must for every Mac user, "Password-Pandora" is the answer for daily electronic service risk! !